Special thanks to Stuart Epperson who shares these comments about his brother Ralph with us. I was born about 15 years after Ralph and my earliest memories were when he was a senior in high school. He was the person we always looked to for leadership and answers to all kinds of questions. He read constantly…all kinds of books. When someone came to our farm house he would ask them questions about everything. He was highly intelligent. Shortly after Ralph returned home from working on the Naval Labs in Washington during WW II he built a small radio station in an upstairs bedroom…and commenced daily broadcasting. He often interviewed me on the radio calling me by the nickname, PETER RABBIT, which he had given me. I was eight years old at the time. That name stuck for many years…and I loved every minute that little radio station was on the air. I sometimes read the Bible on the air. People were always mentioning they had heard me on the radio. Then, in 1948, Ralph began operating WPAQ in Mt. Airy. My father sawed out the lumber and built most of the building, being a very good carpenter. I was there during the entire process. I knew then I wanted to be a radio broadcaster. Ralph taught me everything I needed to know with help from Arnold, another older brother who also went into radio. This included cleaning the building, announcing,becoming a disc jockey, selling advertising and actually running a radio station. What can I say about Ralph except he was the Greatest Man I’ve ever known! Stuart Epperson (far left) is co-founder and Chairman of the Board of Salem Media Group. 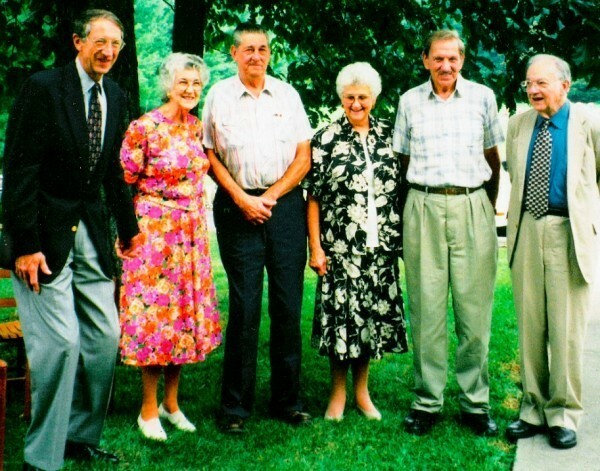 Also pictured are siblings Mary Lee Epperson King, Roy Epperson, Lucy Epperson Bowman, Harry “Arnold” Epperson, Jr. and WPAQ founder Ralph Epperson. Great article! Good picture, too! I love the comments from my Uncle Stu about my awesome Daddy! My Uncle Stu’s words are so true and mean so much to me! Uncle Stu is also an intelligent and great man! Kevin Ryan on And now here it is!